APS is a medium sized Custom Injection Molding company that serves a well-diversified customer base on a global basis. Our current custom injection molding operations are housed in our modern, climate controlled 31,000 sq. ft. facility. We operate on a 24 hr., 7 day per week production schedule. Although APS has continuously enjoyed business growth, we understand the importance of managing our growth within our means. For this reason, all business opportunities pass through these two doors; can we do it? (resources & knowledge) and should we do it? (customer satisfaction & profitability) These principals are the foundation of healthy growth for our company without sacrificing great service to our customers. 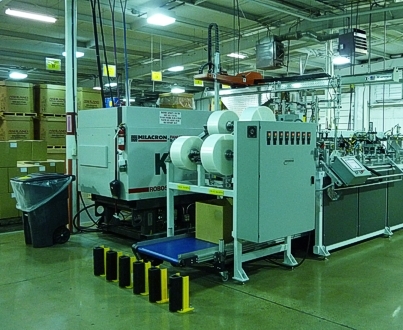 APS is the product of an acquisition – merger of Advanced Molding and Winchester Plastics. We are a wholly owned private corporation. We are a non-union equal opportunity employer. Companies don't make people, people make companies!